To many, losing fat often means adopting a high protein, low carb diet. While protein does contribute to muscle synthesis, overeating it does not enhance these effects. In fact, surpassing 20-30g of protein at one given time contributes minimally to muscle development. Recent evidence suggests that consuming protein in multiple intervals throughout the day (around 6 times) lowers body and abdominal fat and increases lean body mass more than when protein is only eaten at three meals.2 Instead of gorging on a huge piece of steak at dinner, stick to your regular 3-4 oz portion, and focus on including protein-rich snacks throughout the day like yogurt, hard-boiled eggs, or this spiced edamame. Although cardio has positive effects on health, incorporating strength training into your exercise routine will accelerate fat loss. Growing your muscles helps reduce both body and belly fat and increases calories burnt while at rest.3,4 To gain muscle, the muscle must first be broken down. Strength training is one of the most effective ways to do this as it uses resistance to challenge and build muscles. Alternate cardio days with bodyweight exercises or lifting weights at the gym. Not sure how to add strength training to your routine? Check out the InsideTracker Guide to gaining muscle. Yes, eat fat to lose fat. The low-fat trend is dead as multiple studies indicate a low-fat diet does not improve health outcomes. 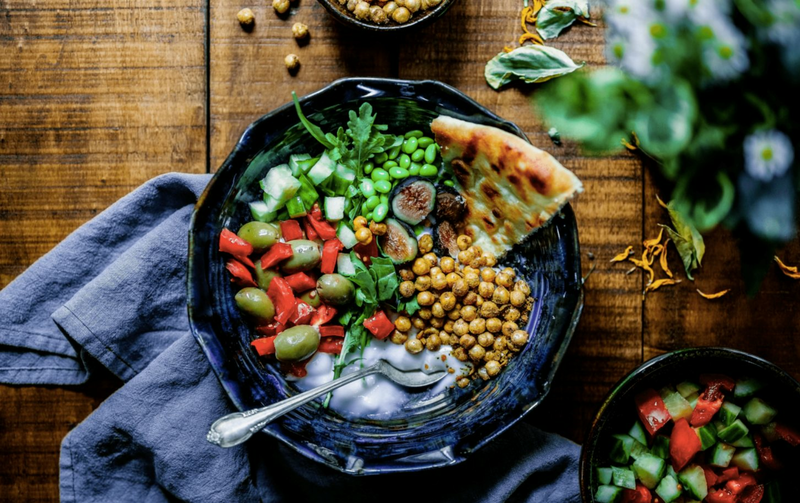 One study found that the popular Mediterranean diet rich in healthy fats is linked to a lower weight gain compared to a low-fat diet.5 The term ‘healthy fats’ refers to unsaturated fats found in fish, nuts, seeds, avocados, olives, and vegetable oils. Similar to protein and carbohydrates, there are both good and bad sources of fat. Trans- and saturated fats constitute the bad or ‘unhealthy’ fats. Fortunately, trans-fats have been almost completely phased out from the food supply while saturated fats are found mainly in foods like butter, cheese, and red meat. Including a healthy source of fat at each meal helps to keep you satiated for longer. 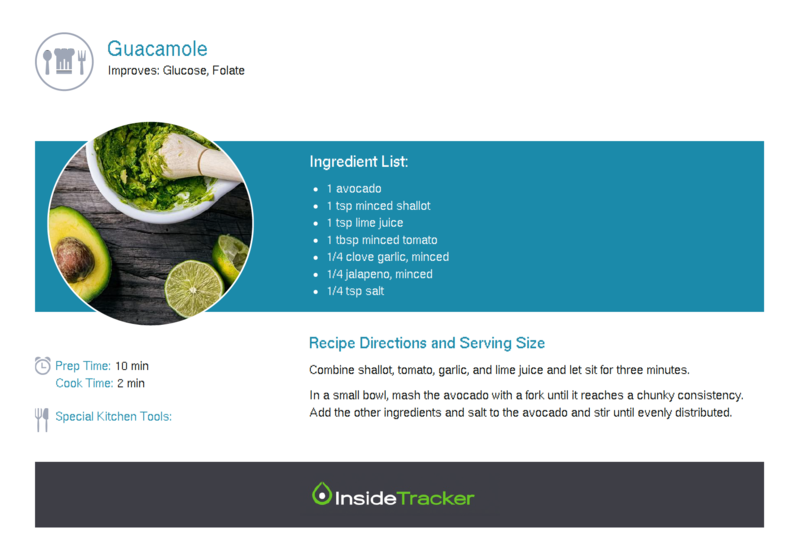 Choose whole-food sources of healthy fats - like our guacamole recipe below - over vegetable oils to reap the benefits of fiber and other nutrients that are lost in the processing of oils. You’ve eliminated juice, soda, and candy from your diet because of the high sugar content, but what about your salad dressing, nut butter, yogurt, or even bread? All these food may surprisingly contain sugar! Food companies sweeten their products to improve taste and keep us coming back for more. If we neglect these sneaky sources of sugar in our diet, they can add up unknowingly- especially when the recommended amount of added sugar is only 6-8 tsp a day.6 Several studies indicate that excess sugar intake can result in increased fat, especially in the stomach region and liver.7,8 Avoid sugar by reading ingredient lists on food labels - sugar should not be listed as an ingredient in your favorite bread! People often remove an entire food group - ahem, carbohydrates - from their diets in an attempt to lose weight. Like proteins and fats, not all carbs are created equally. Instead of eliminating carbs, choose sources rich in fiber. Multiple studies show increasing fiber leads to an overall decrease in calorie intake and weight loss.9,10,11 How? As fiber moves through our digestive tract, it absorbs water forming a gel-like consistency. As a result, the digestive time of food slows down significantly causing us to feel full for longer. This results in less food eaten throughout the day. Additionally, since fiber goes unabsorbed in our diet, it also decreases the number of calories and carbohydrates our body absorbs from food.12 Include fiber-rich foods at every meal including foods like oatmeal, lentils, beans, nuts, flaxseed, apples, and berries. Or try out this fiber-rich White Bean Chili for your next meal. Hopefully, these tips equip you with the information you need to achieve fat loss healthily and sustainably this year. 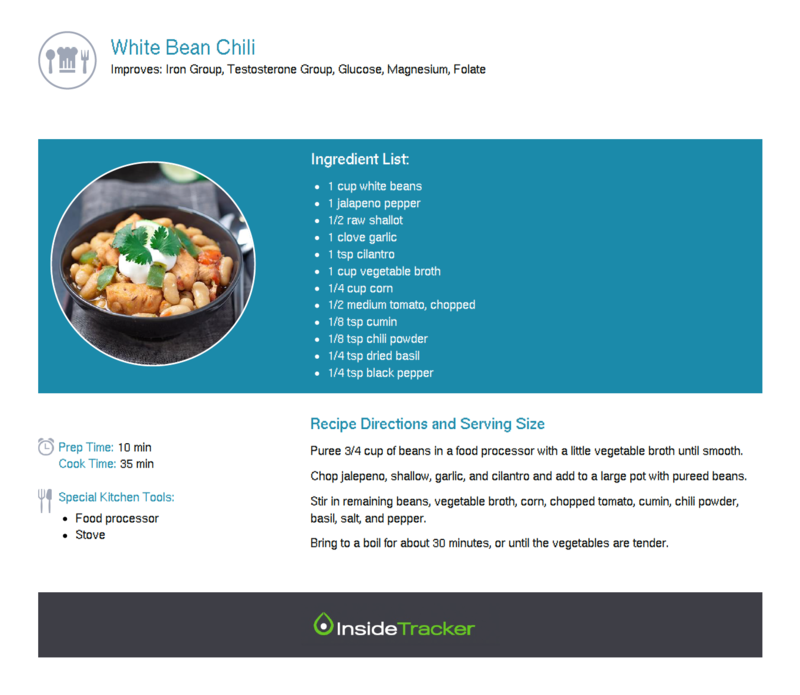 As always, InsideTracker is here to uncover the science and deliver actionable steps to help you reach your goals. Want even more personalized recommendations? 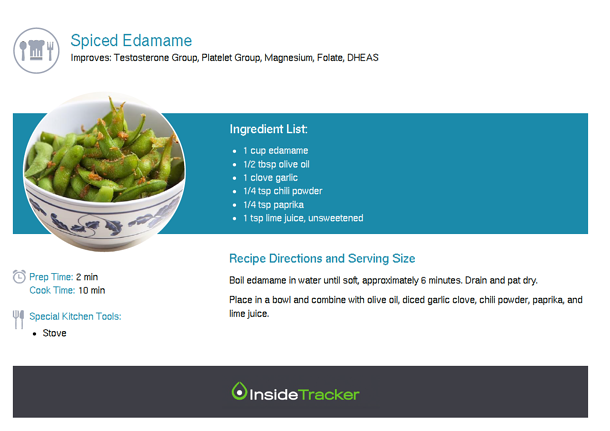 Sign up for any InsideTracker plan and select ‘Lose Fat’ as your goal.